We’d love your help. 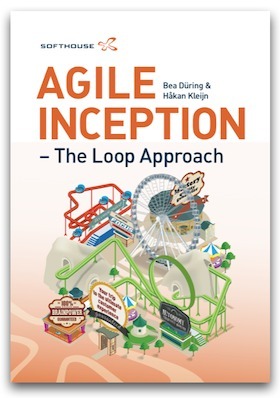 Let us know what’s wrong with this preview of Agile Inception - The Loop Approach by Bea Düring. • How do you get started with product and release planning? • How do you accelerate your requirements work? • How do you scale agile to a multiteam and distributed context, and apply different strategies for agile adoption? • How do you wrap a minimal project structure around agile teams in a non-invasive way? To ask other readers questions about Agile Inception - The Loop Approach, please sign up. The ideas in this succinct book resonate with me. The proposed approach leverages and combines the power of different techniques like Impact Mapping, Use Cases, User Stories, User Story Mapping, and Business Canvas Model. The content could had been benefit of more careful editing and could had better structured to avoid duplication.